Today at San Diego Comic-Con 2016 during panel – 20 Years of Tomb Raider: Lara Croft’s Multimedia Empire – Dark Horse and longtime Tomb Raider artist Andy Park announced the “Tomb Raider Archives” , a nostalgic offering for Lara Croft fans. With a forward by Andy Park, this hardcover 8” x 12” offering comes in at 408 pages of globetrotting adventures. 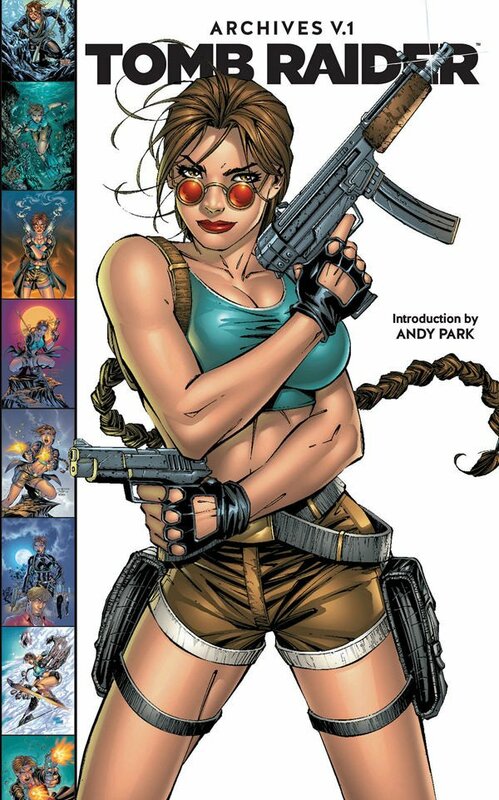 This deluxe hardcover collects issues #1–#15 of the 1999 Top Cow Tomb Raider series and features the art of superstar artists Michael Turner, Marc Silvestri, David Finch, Andy Park and many more, all in an oversized format. Tomb Raider Archives Vol. 1 will go on sale 11/30/2016, with the following three releases slated for 2017.